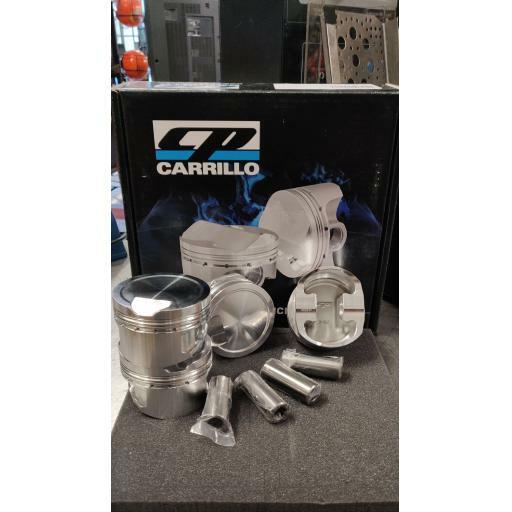 US Manufactured, CP-CARRILLO are high quality forged pistons, made from 2618-T61 Alloy. 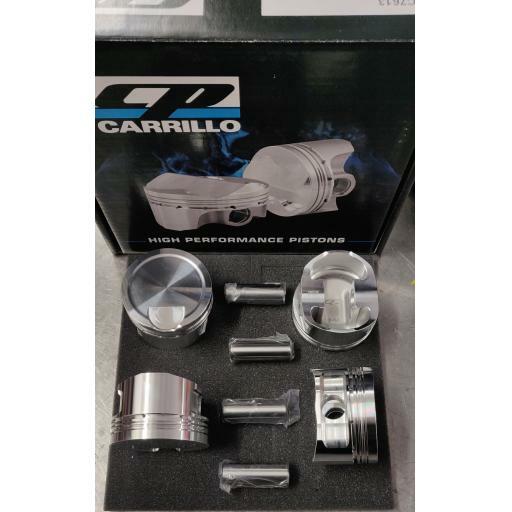 CP-Carrillo pistons are designed for high performance engines. CP-CARRILLO truely excel when it comes to staying ahead of the competition, and this is something the company takes great pride in. Their commitment to all fields of product development including: Reverse Engineering, Design and Flexibility aswell as Analysis and R&D ensure that CP-CARRILLO can continue to develop and grow as the industry does. These are now our go to piston at Badger5. This coating reflects heat into the combustion chamber and away from the piston crown, while lowering piston temperatures for increased part life. The engine can experience improved combustion and performance as a result of heat being reflected back into the fuel charge. The application of molybdenum to the piston skirt, used to reduce friction between the piston and the cylinder during engine operation. It also helps during cold start ups and high temperature operation where a substandard oil barrier on the cylinder wall could exist. Any additional works and/or custom orders are quoted on a case by case basis, please contact us for details.